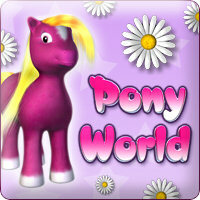 Pony World is filled with the fun and adventures of a lovely pony you choose and control yourself. 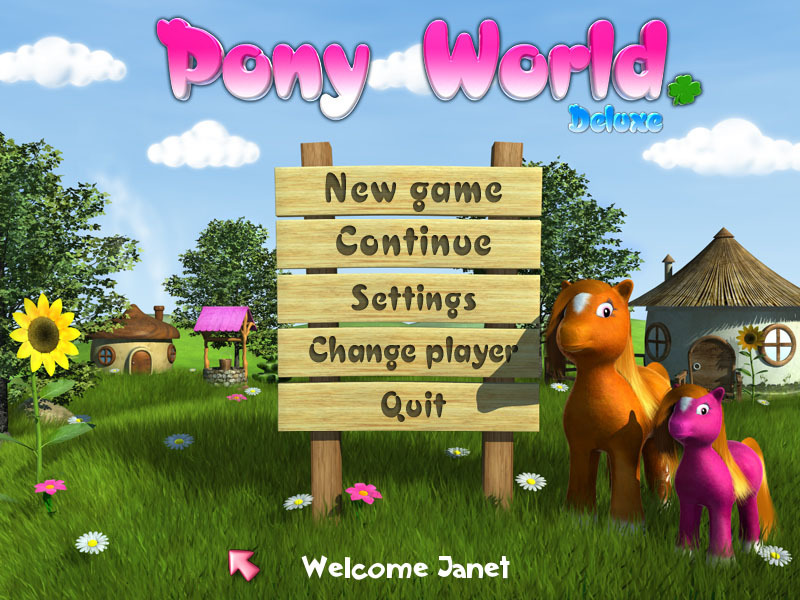 You are the one who decides whether that pony leads a peaceful life with his family, taking care of his wife and children, or whether he devotes to working, farming or having fun. 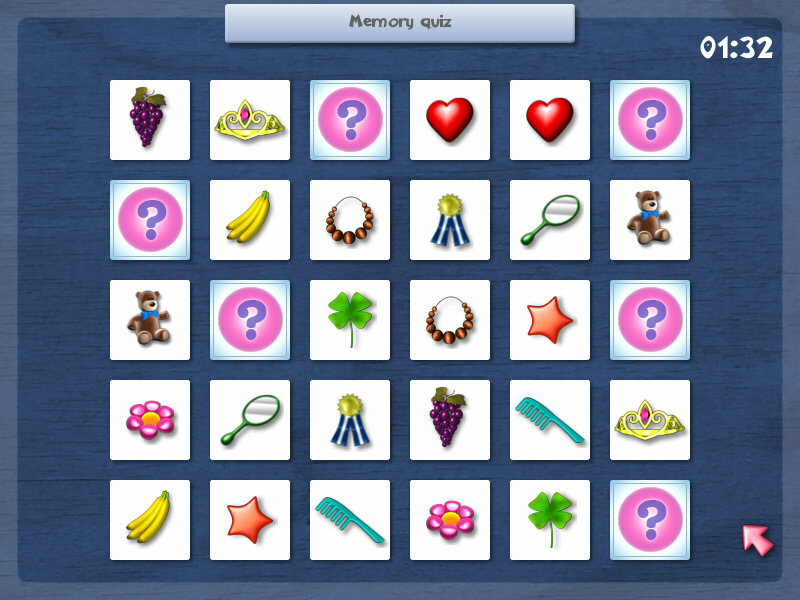 The game also gives you the chance to try many additional minigames such as the beauty contest, races or exciting memory games. 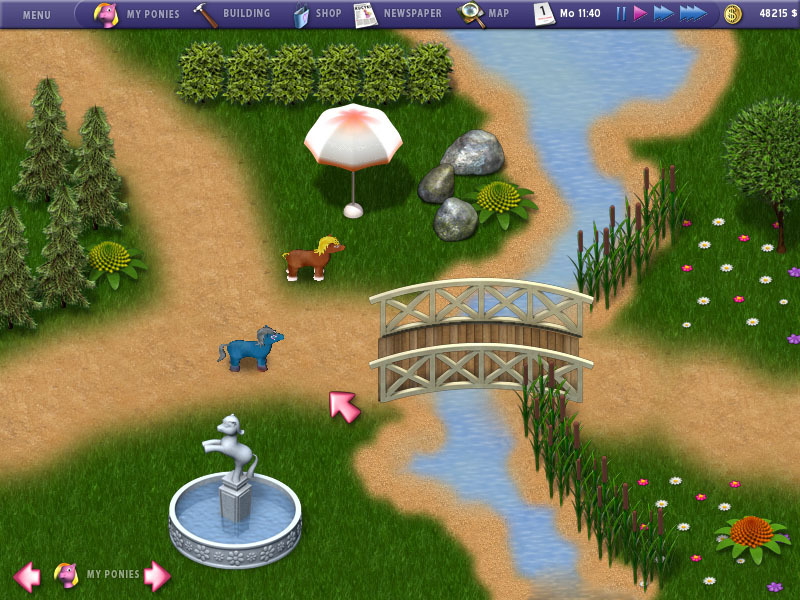 Money gained by your pony will allow you to extend and decorate your farm. You can plant evergreen trees and fruit ones that will supply you with food, beautiful fountains and colorful umbrellas as well as decorative stones, flowers, bushes and plenty of different and fascinating scenery. What's more, if you have a desire for trading you can develop your farm for profitable agriculture. Or you can just enjoy your life with visits to the disco or theatre every day, launch fireworks on the farm or play football and hopscotch. 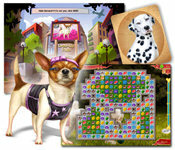 The wide variety of choices and developments will give you plenty of entertainment. go to the forest and pick mushrooms, or maybe some berries? 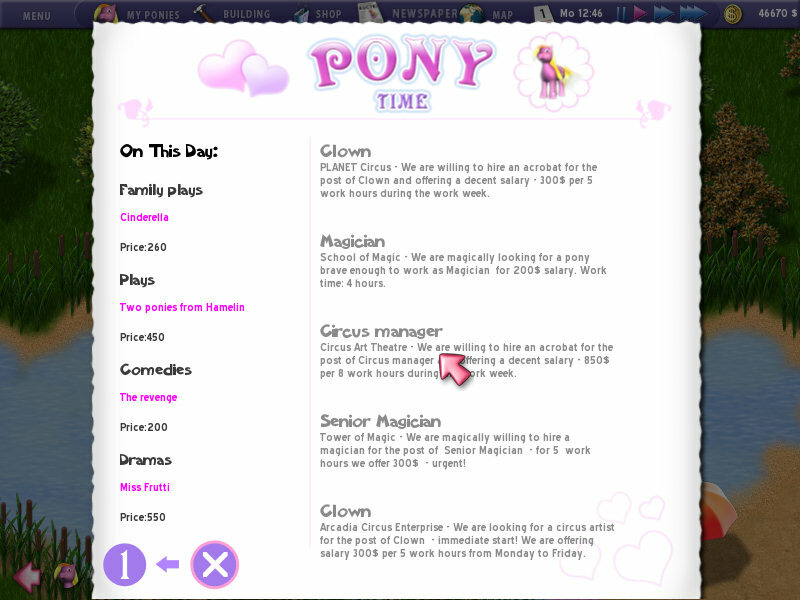 And all of that only in Pony World!